Brucar Locksmith is always trying to help people be smart when choosing a locksmith. 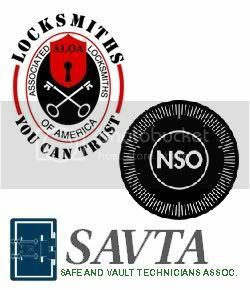 The key is to seek out a local licensed professional locksmith company before you need them. Check out this investigative report on locksmiths, from The Today Show. Thanks to them for repeating what we tell all our customers and everyone we meet. We would rather sound like a broken record, than have our neighbors, friends and family get ripped off. After you watch, will you take their advice? 1. Brucar Locksmith is located at 355 B. East Avenida de los Arboles in Thousand Oaks, CA at the cross street of Moorpark Road. We are in the Trader Joe’s shopping center near Rite Aid. 2. Come in today! We have business cards, magnets for the fridge, a large variety of keys that can be made on site, a showroom for safes and various locksets and padlocks, fun painted keys. 3. We accept all forms of payment, not just cash. Check, Visa, Mastercard, American Express, Discover, and we are always happy to set you or your business up with a billing account. 4. We have set prices that will not skyrocket once we get to your home or office. We will be happy to provide you a written estimate before any work has been done. 5. Put our number in your phone, and in an emergency, you will not be alone! We offer 24/7 mobile emergency service. 805-241-0777 or toll free 866-7171-KEY (539). 6. We guarantee excellent, professional customer service in the field and in the shop. 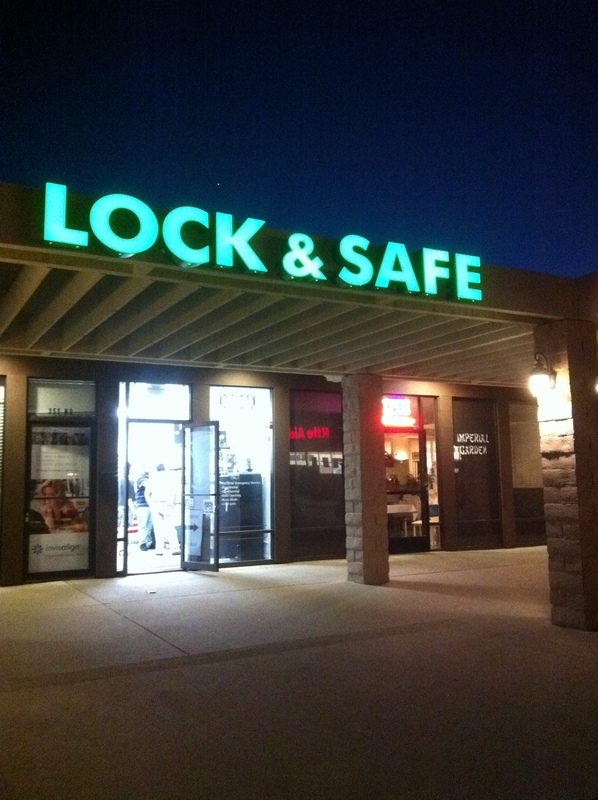 If you have been having trouble finding a lock, key, and safe shop in Thousand Oaks, Newbury Park, Westlake and the vicinity, look no further! 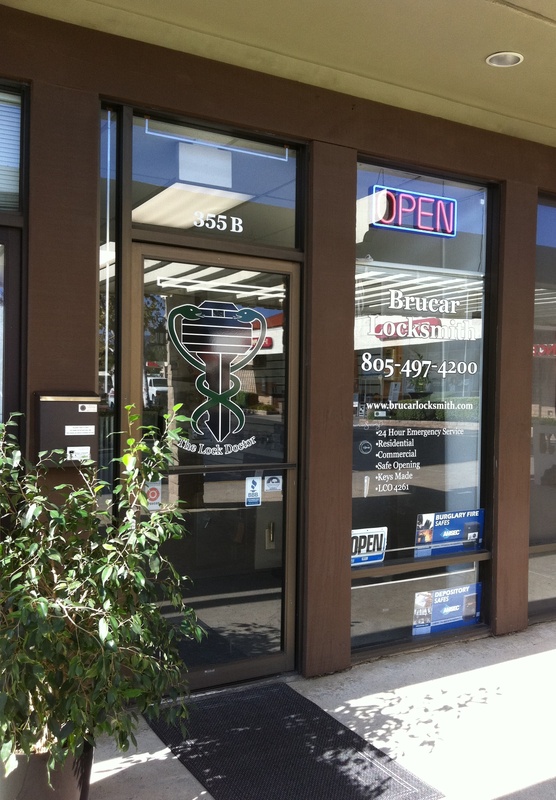 Brucar Locksmith is now conveniently located in the heart of Thousand Oaks at 355B East Ave. de los Arboles, Thousand Oaks, CA 91360. We officially opened our doors on July 1, 2011 in the University Shopping Center and are happy to be neighbors with Trader Joe’s, Rite Aid, 3 Amigo’s Mexican and Prism Dental Group to name a few. On display, we have a variety of safes as well as door fixtures, locks and accessories, and many keys. Most any key can be duplicated on the spot. Thanks Angie! We are proud to be on the Honor Roll…. Brucar Locksmith has been awarded the prestigious 2010 Angie’s List Super Service Award, an honor bestowed annually on approximately 5 percent of all the companies rated on the nation’s leading provider of consumer reviews on local service companies. 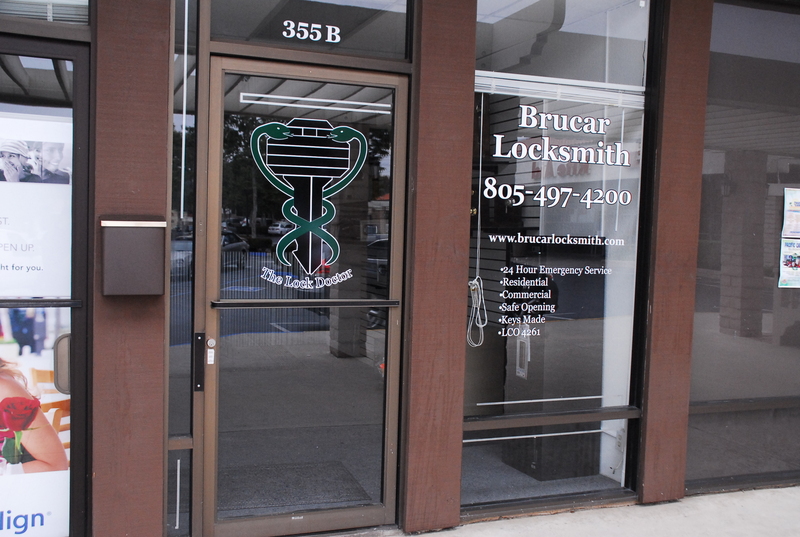 Brucar Locksmith is a family owned business that operates out of the Conejo Valley and provides lock and safe service to : Thousand Oaks, Newbury Park, Simi Valley, Westlake Village, Moorpark, Camarillo, Oxnard, Fillmore, Santa Paula, Oak Park, Hidden Hills, Calabasas, Malibu and all the surrounding areas. Their focus is on customer service and guaranteeing their clients the best service and the best prices. The company is licensed (LCO4261), bonded, insured, and police permitted, offering 24 hour emergency service. Experts in their field, Brucar Locksmith’s technicians can provide real solutions for any of your lock, door or safe issues; whether it be for a residence, commercial office space, safe or auto. 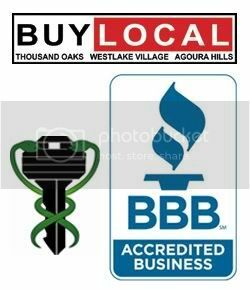 Brucar Locksmith is a member of: Associated Locksmith’s of America Inc., Safe and Vault Technicians Association, Better Business Bureau, Greater Conejo Valley Chamber of Commerce.